The class system in noise meters and sound level meters refers to the accuracy of the results given by the meter while measuring noise levels. The classification of sound meters has changed over the years as the standards have evolved, but is essential in place to differentiate between the performance of sound meter microphones. Some tasks just don’t need quite the same performance, so you can justify spending less on a sound meter! 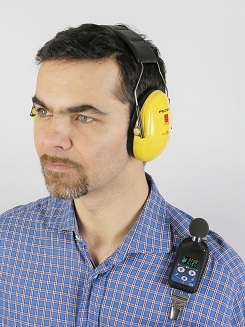 For example, the Control of Noise at Work Regulations 2005, the requirement is only for Class or Type 2. 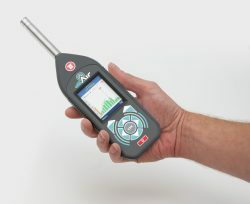 View Class 2 Sound Level Meters and Class 1 Sound Level Meters. Below is a list the standards as they have evolved over time. Not really of much use to you and you can look them up if you’re really interested to know more about them! It all goes back to 1961! Essentially, the lower the number the better the accuracy of the product. You may see ‘Type 1’ or ‘Class 1’ and actually these are very different things. An instrument with ‘Type’ classification will be compliant with the older standard IEC651, whereas ‘Class’ is an instant indicator that the unit complies with the most recent standard. When would you use Class 1 or Class 2? There are some applications where the classification is critical and some where it is less so. A few examples are list here. The minimum requirement is for ‘Class’ 2 or ‘Type’ 2 although if you may have a need to produce readings in a court case, you would be well advised to invest in Class 1! Most of the standards in use in the UK require you to use at least a Type 1 or Class 1 meter, this is generally because Class or Type 2 microphones will not measure low enough sound levels and do not measure accurately up to the higher frequencies. Due to the requirements of testing building performance at a wide range of frequencies, a Class 1 meter really should be used. Accuracy is no simple matter with a Sound Meter as, not only does it vary with the Class of instrument, but also with the frequency of the sound being measured. The table below is a brief excerpt from the standard, which shows the acceptable tolerances at a few selected frequencies across Class 1 and Class 2. As you can see, measuring sound levels with very high or very low frequencies give large acceptable errors on the sound being measured. In reality, most modern, properly compliant Sound Level Meters will perform better than this, but if you want to look specifically at a very high frequency, then you could be way out! Calibrator standards have also changed a little over the years although the classification system has not and calibrators have always been specified by ‘Class’. This type of equipment is usually found in catalogues and will come with an attractive price-tag. Be warned, however, that these instruments should only ever be used if you want to check that there are no levels anywhere near the action values stated in the regulations (more on that later). You will often see these meters claiming IEC651, even though this is now an obsolete standard! You can have a look at one such meter on the Castle shop, which we sell for occasions where there is just that basic need. These meters do not, however stand up to scrutiny and can report significant errors as soon as there is a complex mix of frequencies often found in industry. To be called a Sound Level Meter, the instrument must comply with IEC61672. IEC61672 is an international standard that governs the design and manufacture of this type of instrument. There are certain criteria for your sound meter to be suitable to be used as part of a noise at work assessment. The minimum requirement is full compliance with IEC61672 Class 2. Prices for sound level meters complying with this standard will vary significantly depending on the many other features available, but as a basic starting point you may be able to spend as low as £500 for the meter alone. For something a little higher specification, a Class 1 meter that data logs, you’re looking at around £1000. For a Class 1 sound meter with data logging capabilities and 1/1 and 1/3 octave band analysis to help you further analyse different frequencies and perform hearing protection assessments, you’re looking at around the £1,600 mark. See dBAir Sound Level Meter for safety. Dosemeters are incredibly useful for assessing the exposure of mobile employees. The standard for a dosemeter (dosimeter) is BS EN 61252:1997 and is based around the Sound Meter Standard BS EN 60651:1994. 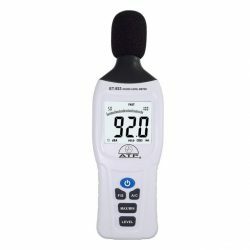 There is no classification system for dosemeters, but because of the type of microphones used, the tolerances are actually taken from the Type 2 Sound Meter specifications. In other words, you cannot have a Class 1 or 2 dosemeter, or any ‘Type’ even.